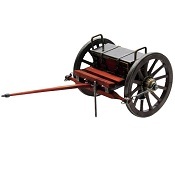 Civil War miniature Display Cannons great for desktop display or gifts. 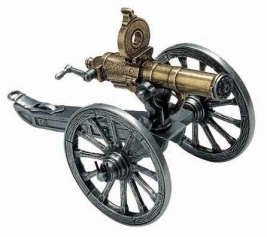 Our New Louis XIV Cannon Large Replica is a magnificent Reproduction of the Famous French Cannon from the 18th century features an Elaborately Detailed 17” barrel, 11” Rotating metal Rimmed wheels, metal furniture, chain and water bucket. 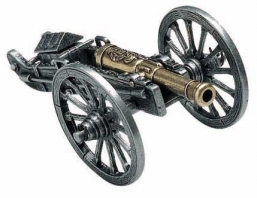 Weighs 13 lbs. 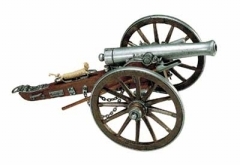 Click Here To See Details and Product Options Louis XIV French Cannon. 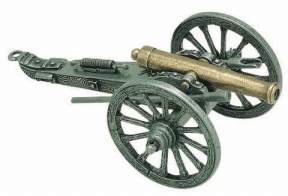 Miniature Civil War Cannon: Superbly detailed, this miniature Napoleon Civil War cannon features all metal construction with 2.75 revolving wheels, removable ramrods. 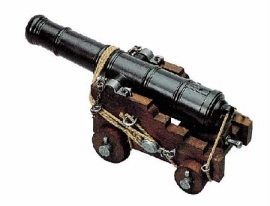 Length: 7 Weight: 1 lb. 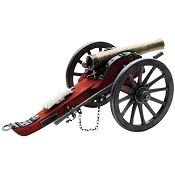 Click Here To See Details and Product Options US Civil War Cannon.